In an earlier post, we discussed the fact that the Gospels are anonymous works. The attribution to the authors as we have today is considered to have happened sometime during mid or late second century. During ancient times, writing in the name of a famous individual was apparently a fairly common practice and people did that to give their writings credibility and more force. The false attribution of authorship or pseudonymous writings are called pseudepigrapha. The ancients condemned this practice but did not have modern tools to clamp down on it. 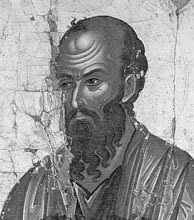 About half of Paul's works that made it to the New Testament Canon are pseudonymous. The text of the epistle of Hebrews does not claim to be by Paul. However, it seems have been considered so and the book seems to have made it to the Canon on the weight of Paul's supposed authorship. Then there are the epistles by Peter. This seems to have been originally written in Greek (as were all other New Testament Books or so the scholars now think). The author seems to have been a highly educated and a highly skilled writer. Scholarship rejects any suggestion that it was by the illiterate fisherman Simon Peter of the Gospels. In fact, scholarship considers the two Petrine epistles to be by different hands! The epistles of James and Jude do not clarify for us if they authors were the legendary disciples of Jesus – James the son of Zebedee and Jude, his brother. So, strictly speaking, they are not pseudepigrapha. However, it seems to have been on the basis of the authorship that they made it to the New Testament Canon, much like the epistle of Hebrews! The book of Revelation is by a person named John. It is often claimed that this was John, the disciple of Jesus. However, the book itself does not make any such claims. Arthur J. Dewey, Roy W. Hoover, Lane C. McGaughy, Daryl D. Schmidt, "The Authentic Letters of Paul: A New Reading of Paul’s Rhetoric and Meaning", Polebridge Press (2010).